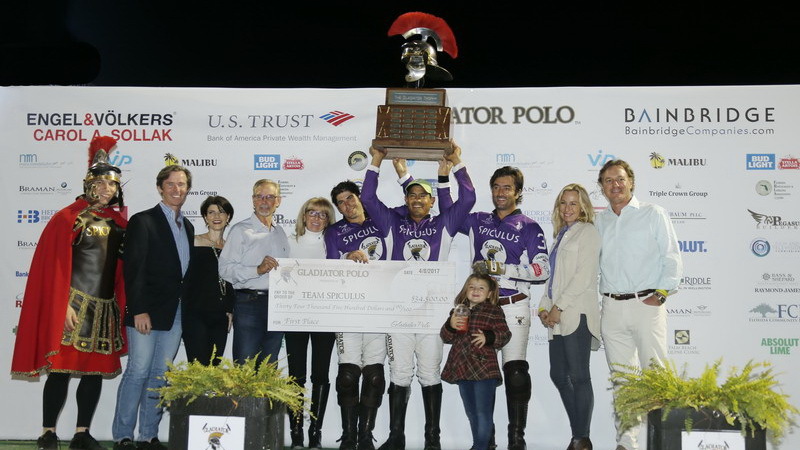 WELLINGTON, Florida-April 8, 2017-Team Spiculus rode to a rugged win in the 2017 final of 2017 Gladiator Polo™ presented by U.S. Polo Assn. tournament Saturday night, defeating Team Spartacus 17-10. The seven-game series took place at the “Coliseum,” otherwise known as Equestrian Village, and began with four teams. 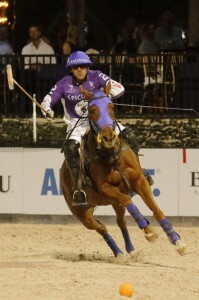 The Spiculus line-up of Sebastian Merlos (arena handicap 9 goals), Mariano Obregon (7) and Pelon Escapite (7) dominated play for the majority of the game. 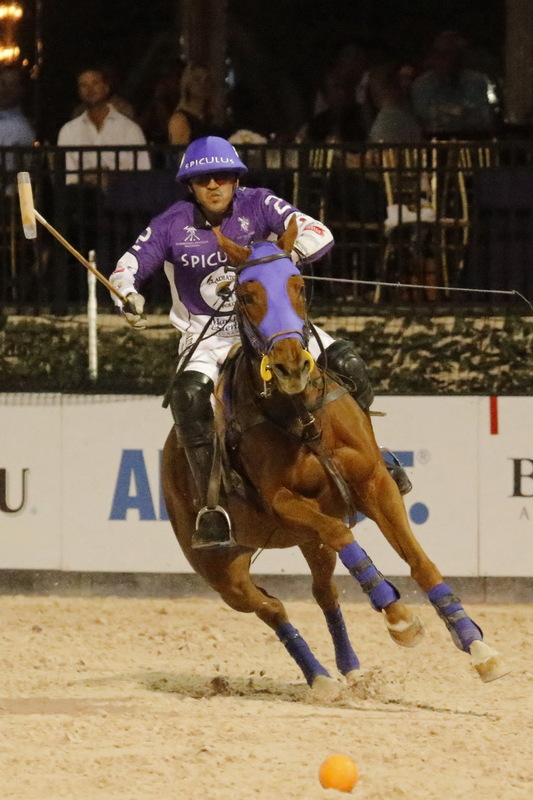 The score was tied at 3 going into the third chukker, but Spiculus stormed ahead to a 10-5 lead at halftime. The gap continued to widen, standing at a 7-goal deficit for Spartacus (17-10) when the final horn sounded. The play of the day happened early in the game, when Merlos launched the ball three-quarters the length of the arena for a 2-point goal. Merlos came through again with two 2-pointers in the third chukker. Felipe Viana, playing for Spartacus, also contributed three 2-pointers.